* : some times you may find the address spelled with an “i” : Astidamantos. 1 . Using the subway/ metro system: there is just one line departing from the airport, and it is the one that will bring you closer to our base. You disembark on station called “Evangelismos”. From there, it is a 5 minute walk to our garage. See this google map . Cost : 10 euros / person. Time to destination: 36 minutes. 2 . Take a taxi : taxis are waiting in queue right outside the arrivals terminal. The average cost is 35-40 euros per ride and time of travel really depends on the traffic you might encounter. An average duration, for normal traffic conditions, should be 35 minutes. 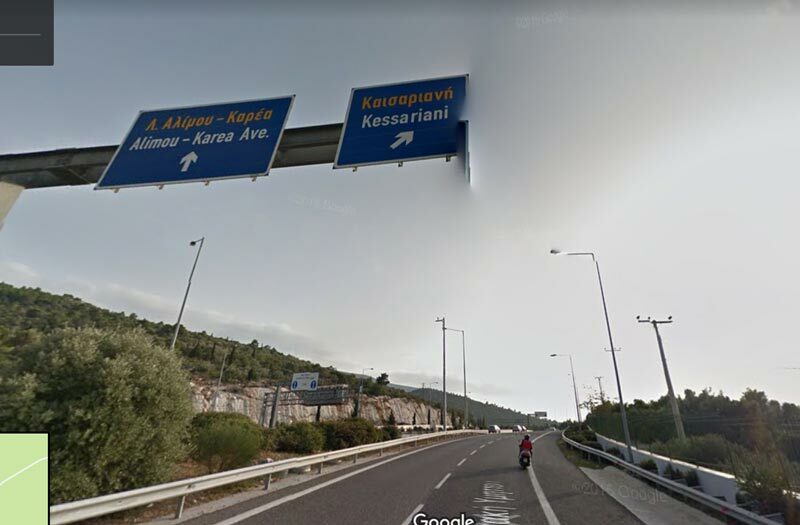 ask your driver to take this road : “Periferiaki Immitoy” and then exit to “Kessariani”. In the rare case your driver is an old timer, who is not fluent with the English language and you are having a difficulty communicating, show him the next image. Also, when you book with us, we send you a text document with the address and some instructions in Greek language. Print it and keep it with you so that you can show it to him ! 3. Private coach/ mini bus transfer: we can help you arrange this kind of service or even book one for you. The cost is usually 60-70 euros per car, which is good for 4-5 people and their luggage. 4. Public bus service: We do not recommend this option. Use the subway/ metro system. 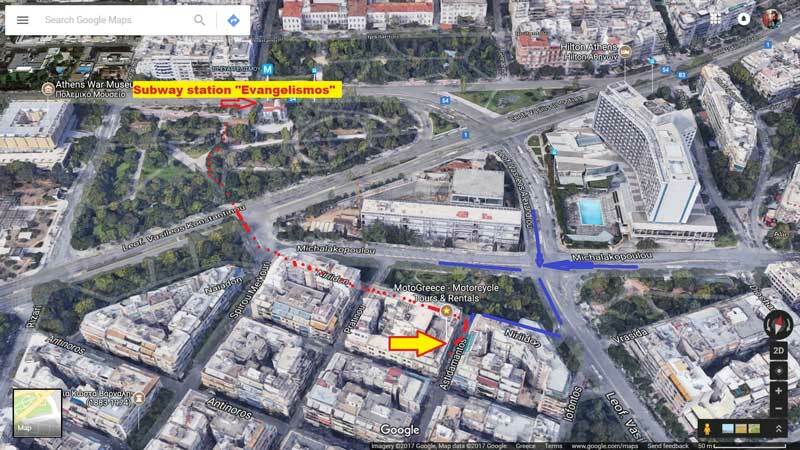 You want to take “line 2” (marked with blue color in the stations and in the trains) and disembark at station “Evangelismos”. See the birds eye map view that we posted above. Taxi: see the instructions given in the previous paragraph ! From our experience, there is not a single one app or device that will bring you to us by successfully choosing the least frustrating route, in terms of traffic. Not even apps with live data about traffic. Seriously, trust us when we say that. 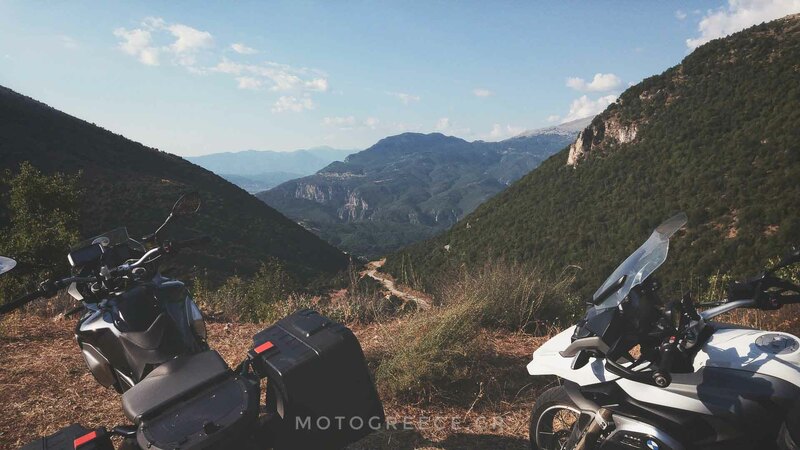 The best way to do this if you are returning from the Peloponnese or from central Greece, is to reverse the directions that we give in our post about “How to exit Athens fast and easy” ! You will pay one toll, but we will repeat what we wrote on that post: it is definitely worth it. The sign that you should look for, to exit the ring motorway and come to the local roads near our base is the one that reads “Kessariani”, see the same picture that we posted a few paragraphs above (for the taxi ride).